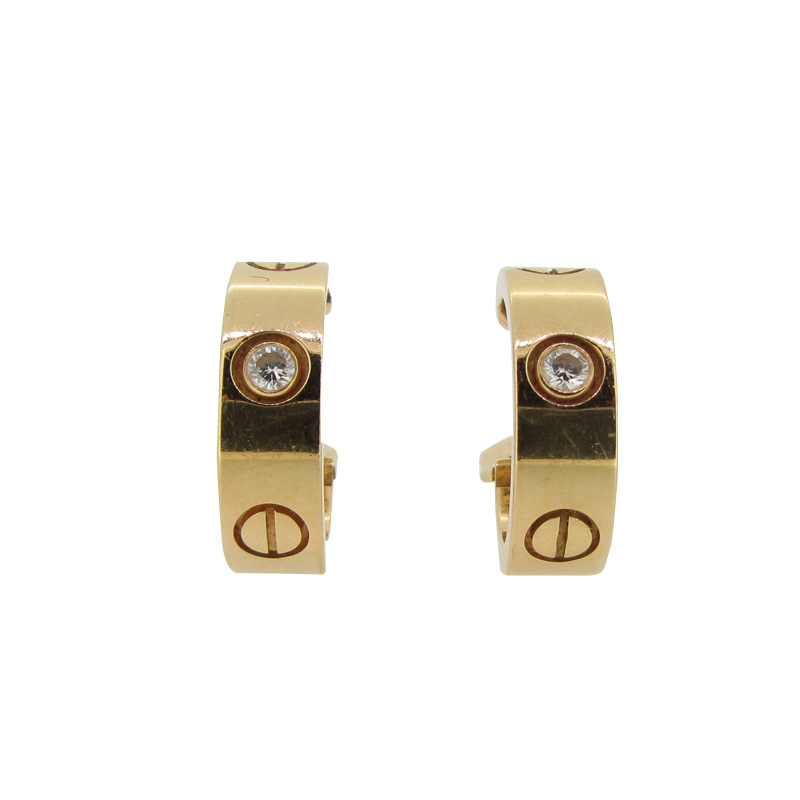 Description: Cartier love earrings in 18k yellow gold with one diamond in each earring . For pierced ears with pin and clips. Condition: Pre-loved and refurbished, excellent condition. It is our policy to refurbish all jewellery to the highest ‘like new’ standard prior to dispatch, photography taken prior to refurbishment. The earrings comes in a presentation box with our own certificate of authenticity and a valuation certificate. 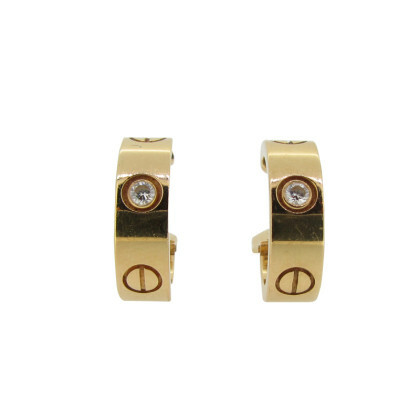 Branded Jewellery Exchange are delighted to offer these Cartier Love Earrings in 18k yellow gold set with 2 diamonds. They are for pierced ears with the new design of pin and clip.